The beta was announced last week, when Opera prompted people to sign up in order to join its “beta testing group”. That seemed to imply that only those who signed up would be able to play with the Opera Mini beta, but that’s not the case – anyone can get it from the Windows Phone store. 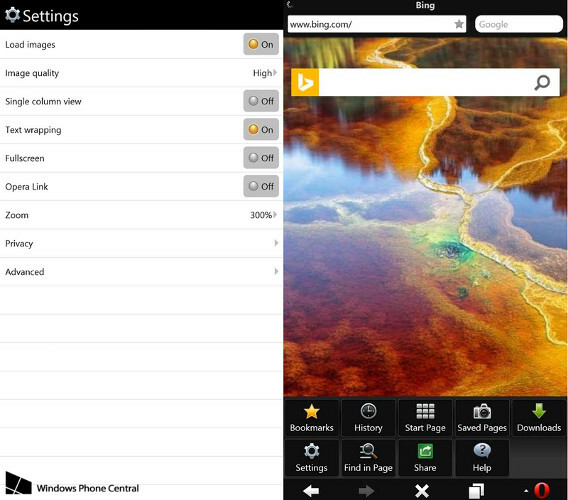 This browser represents Opera’s first foray into Windows Phone territory. Opera Mini makes pages lighter, so they load faster and consume less data. It can go so far as to reduce a page down to 10% of its normal size. It also lets you share content easily, and browse safely. Speed Dial, the well known home page is in, as is Smart Page – which lets you see instant updates from all of your social sites on one screen.